Strength. Style. Sophistication. Lexington® Board & Batten is dedicated to that lover of classic vertically oriented siding for architectural distinction and interest. It’s the ideal choice for board-on-board construction appearance, with the convenience of never having to paint again! 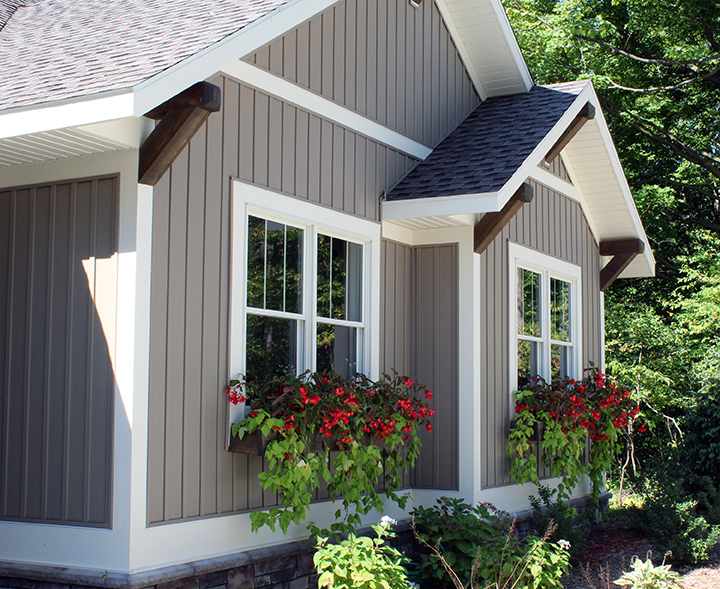 Express your home’s individuality with Lexington® Board & Batten. Board & Batten Vertical siding panels 19 color choices Beaded siding panels 19 color choices.